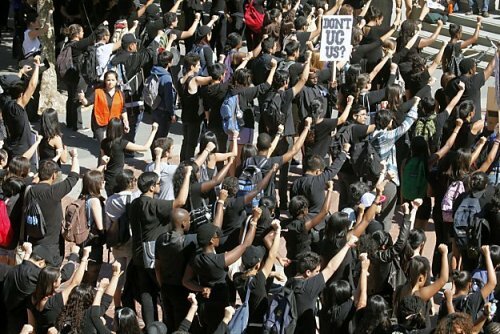 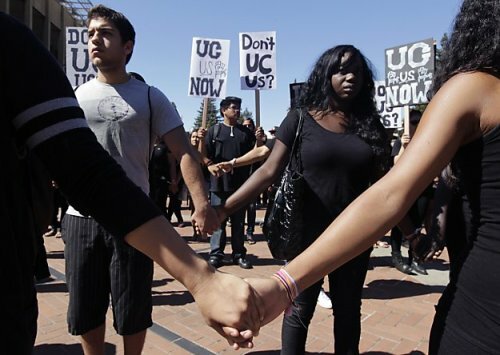 Hundreds of students dressed in black holding signs that read “UC us now?” & “Don’t UC us?”, joined hands in protest against the “Increase Diversity Bake Sale”. 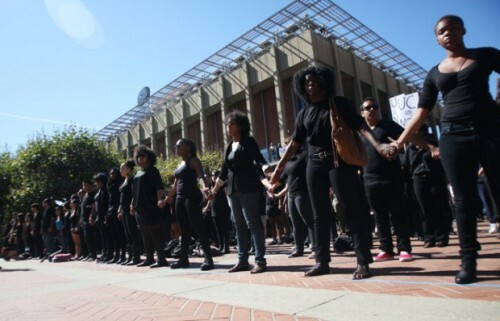 I see you Berkeley folks of color and folks in solidarity! 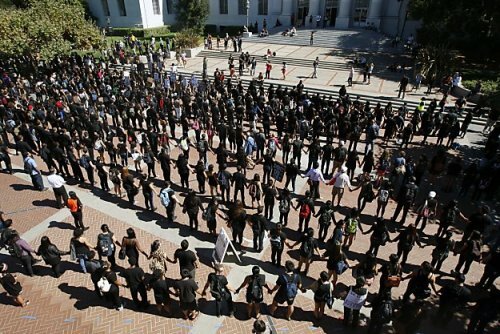 UNITED WE WILL ALWAYS STAND!